New McKee Construction Project Management is Underway in Sanford! 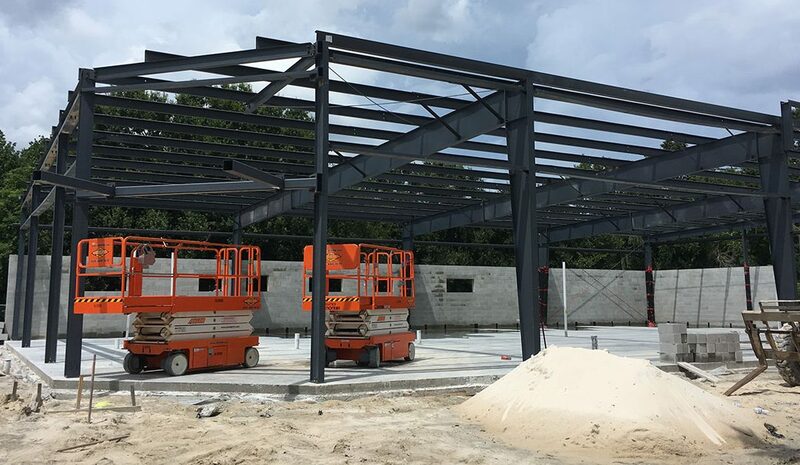 Located across the street from our current location, McKee Construction Co. in Seminole County is excited to announce that we will be opening a new location. As construction project management experts, we are always proud of every project that we embark on, but this is particularly thrilling for us because it will house our new offices. Our commercial construction has, for years, received continues acclaim and positive response. We deliver high-quality results that last, which is why are always ready to share examples of our past work. If you are interested in learning more about us, contact us at McKee Construction Co. today. Our new project is recently begun. We have not yet started on the actual construction of the building, but we have laid down the concrete that will form the base of the building that will go atop it. We also took the opportunity of a brand-new location to bury a time capsule. In fact, President Bobby VonHerbulis and his grandson, Miles, were at the burial of the time capsule. The pouring of the concrete took place not too long ago which means that construction is truly underway now. With our expert team and our hardworking staff, we are certain that our project will continue without any issues. Given our time in commercial construction, we are certain that this will be an example that we can present to our potential clients to view all that we are capable of. As time progresses, we will gladly share how everything’s gone. Are You Looking for Construction Project Management? While we are proud of the work that we will be doing on our new location, we are even more excited for the projects that we will be able to do for other businesses and companies in the community. For us, what we do is something that we take great pride in. Sharing our ideas and our experience with others who will benefit brings us great joy and pride. As we continue to grow alongside our community, we are able to do more creative projects with greater scales. This is something in which we have deep interest. We do not want to miss out on the opportunity to be a part of the landscape of our community which is why we are continually working to improve and to build on our past experience. McKee Construction Co. is a construction project management company that is located in Seminole County. We specialize in commercial construction, and we are always proud to help those businesses and companies in our community that enrich our local economy. For years, we have been a part of the Seminole County community, and we are thrilled, now, to be able to open a new location. If you would like to learn more about our new location or you are interested in working with us for your next commercial construction project, contact us at McKee Construction Co.